As a part of the Indian government’s “Make In India” initiative, Taiwanese electronics manufacturing giant will invest $5 billion in Maharashtra over the next 5 years. The company has signed a MoU with the Maharashtra government to this effect. Foxconn manufactures devices for leading electronics companies including Apple, Blackberry, Xiaomi, Amazon and others. It employs an incredible 1.3 million people during peak production times, making it one of the largest private employers in the world. 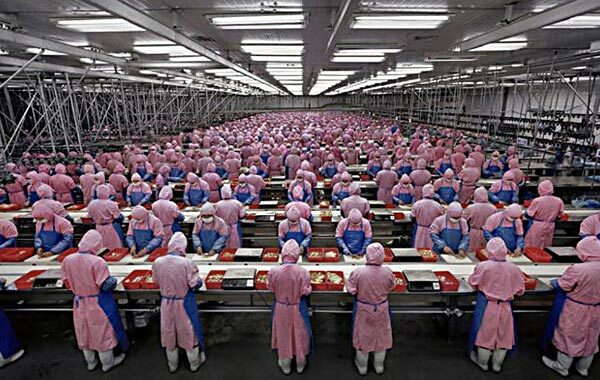 A Foxconn factory in China. The Maharashtra state government is expected to allot over 1500 acres of land to the company to build its new facility. The location is not yet confirmed, though it’s likely it could be between Mumbai and Pune. Talegaon has emerged as a likely contender. According to Foxconn chairperson Terry Gou, the new facility will focus on manufacturing and research and development. “We have chosen Maharashtra for being a financial centre, availability of quality manforce and software-hardware integration facilities,” said Gou. Maharastra CM Devendra Fadnavis claimed that the facility will result in 50,000 jobs being created in the state. The MoU was the result of continuous dialogues between the company and the state government over last two months after the visit of a Fadnavis–led delegation to the facility of the company in China, officials from the chief minister’s office claimed. A team of 70 people reportedly worked on the deal. Foxconn is the largest electronics contract manufacturing company in the world, but hasn’t been without its share of controversies. It has repeatedly been under siege for its draconian working conditions and ill treatment of workers. Reports had emerged a few years ago of the company resorting to hanging nets along the sides of its factories to prevent worker suicides.